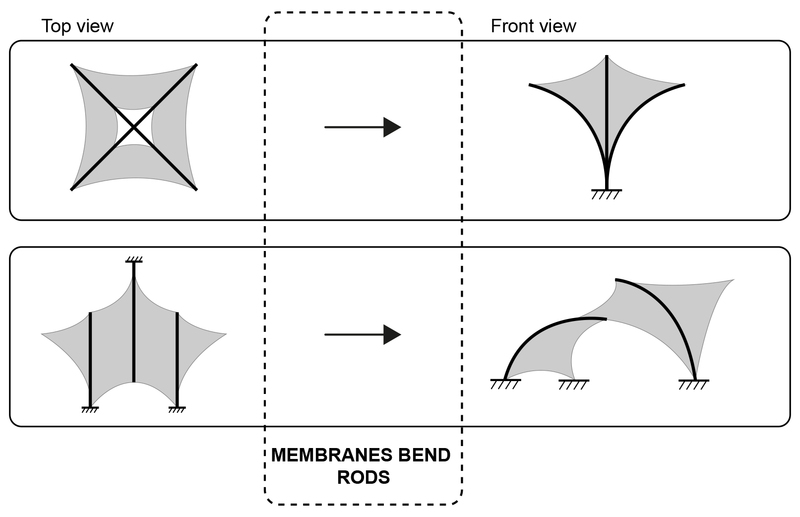 Publication: Conceptual framework for analyzing and designing bending-active tensile hybrid structures. In: Proceedings of the IASS Annual Symposium 2017, 25-28 Sept. 2017, Hamburg, Germany by Slabbinck, E. L. M.; Suzuki Erazo, S.; Solly, J.; Mader, A.; Knippers, J. 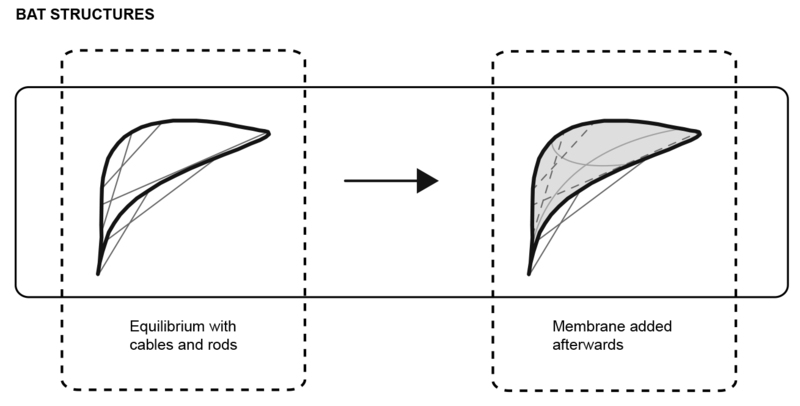 In this paper, the core elements of bending-active tensile (BAT) hybrid structures are defined and a classification system is proposed based on the relationship between the active and passive use of the structural elements. Form, efficiency and the future development potential of various hybrid systems is investigated. Only a handful BAT have been built the last decade, and for every structure and system a new combination of words is proposed. This work aims to provide a general-purpose dictionary of considered terminology that can be utilized by researchers in this expanding field to ensure clear description of new findings. 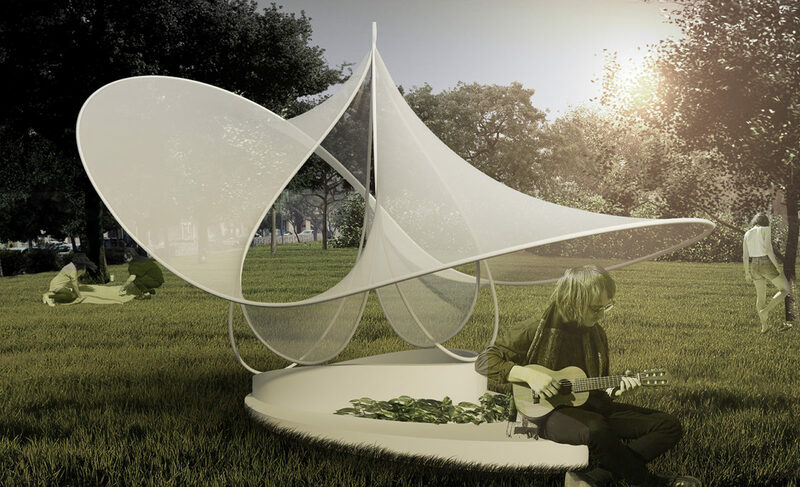 BAT hybrid structures are a recently-developed structural typology characterized by the use of reciprocal equilibrium between bending-active and tensile elements of the primary load-bearing system. Though these structures have a high degree of structural efficiency, only a few experimental and research-oriented structures have been built. These have been limited in scale and functionality due to the complexity in design, simulation and analysis, fabrication and construction. The work presented is intended as an aid to understanding different types of BAT hybrid structures. This is achieved through the analysis and comparison of recently-built BAT hybrid demonstrator structures. Strategies for the digital modelling and simulation of these complex structures are also discussed. 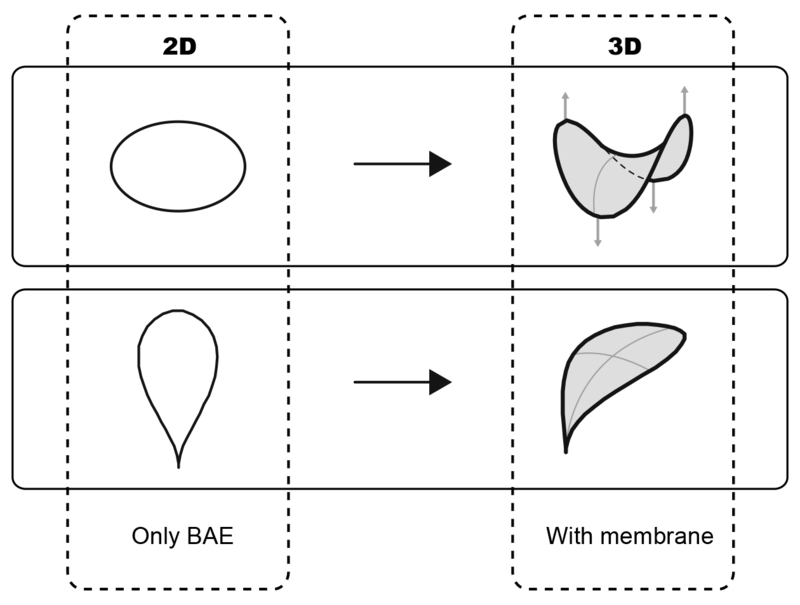 A tight integration between design and analysis is required for BAT hybrid structures due to form, internal stresses and global stability being entirely interdependent. In the case of most bending-active structures this interconnected design/simulation is particularly complex due to the large deformations experienced by the system during the process of finding a stable equilibrium condition, a scenario that many software packages cannot easily solve.